The sophisticated technology of preeflow convices in various application fields through precise dosing results. For example at the application of UV curing adhesives in the sector of electronic components at Sumida Components & Modules GmbH in Obernzell (Germany): The dosing of a DELO Dualbond is performed with a preeflow eco-PEN. The coil of a litz wire is immediately fixed by the dispensed and cured UV adhesive in the holder. The sale of the dispenser has been managed by the preeflow distributor Vieweg GmbH in Kranzberg (Germany). Special challenges of the Sumida application were for example the fast performance of the dosing process. Also most precise dosing results (high precision with predefined weight) matching customer requirements were indispensable. Unwanted dripping of adhesive out of the nozzle had to be avoided. The volumetric dispenser of the pump and dosing technology specialist from Töging were able to score in all of these special requirements. “Important aspects for decision making were: A good price-performance ratio for the dispensing unit and the possibility to change the process parameters for each application (with the help of the provided controller)” says Anatoli Esch, manager processes polymer at Sumida. 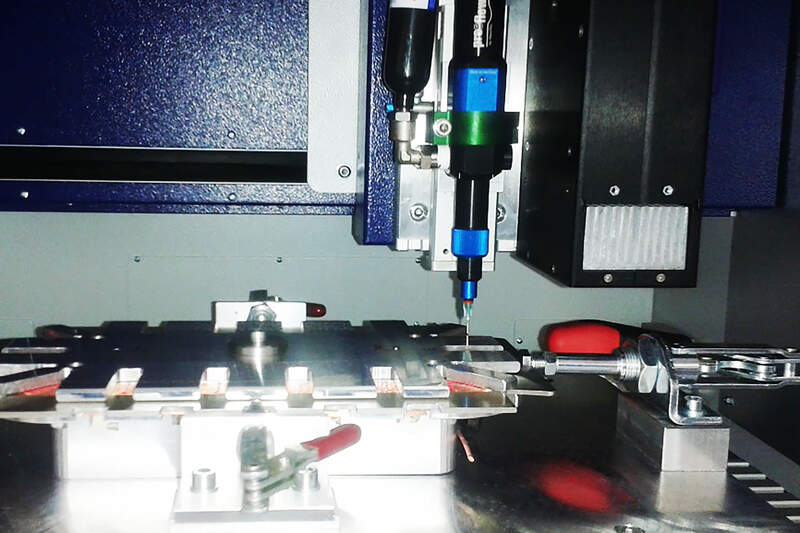 Also the possibility of combining with a UV-module, very good process and machine capability as well as low adhesive consumption caused by high dosing accuracy and precise adhesive application affected the decision and convinced: preeflow stands for micro dispensing in perfection.